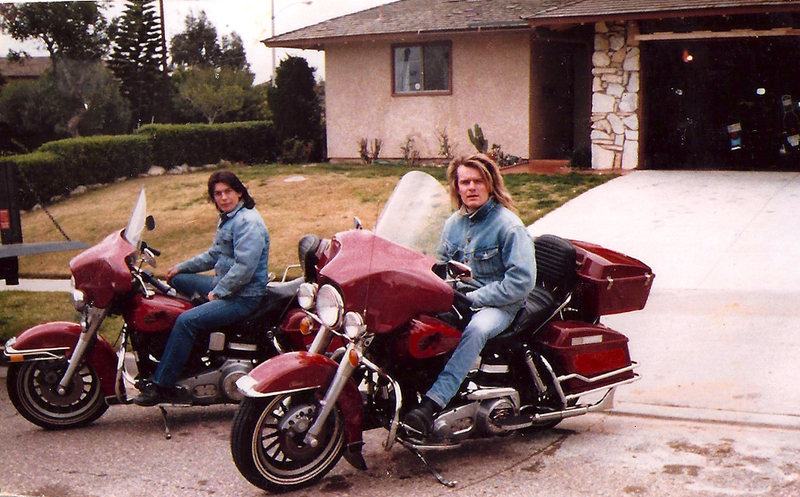 "This pic is in Los Angeles and it's me with mate of mine, Tim Green who was The Cult’s long serving drum roadie. We’d just purchased those two Harleys and at that time there was such a demand for motorcycles that people were importing them from other states to try and satisfy the demand. Everybody was into bikes in 88. It went crazy from 88 to 91, LA was drowning in guys on motorbikes, as well as metal and rock. Being me I took the bike to a fabricator and had it repainted black, all chromed, had all this stuff done to it and it took months and months to finish. I got the bike back and was interviewed by a magazine called ‘Supercycle’ and did a photo session with the bike which you can see in the next two pics."